When you come to D'Amico and Mauck, DDS, you’re trusting your smile to a team of professionals with years of experience. Drs. Mauck & Ricci believe in the importance of preventive general dental care for keeping oral health issues at bay. After all, the best way to fix a problem is to keep it from occurring in the first place! 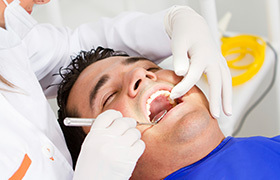 Using the latest dental technology, your dentist in Aurora can catch problems early at your routine dental checkups and hygiene visits, lessening the amount of treatment necessary to reverse the effects of normal wear and tear. D'Amico and Mauck, DDS offer more than checkups and dental hygiene visits in their Denver area dental office -- keep reading to learn about our additional services in general dentistry! 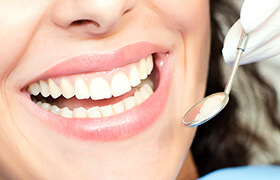 Checkups and cleanings are the cornerstones of preventive dentistry, and the reason for that is simple: they work! 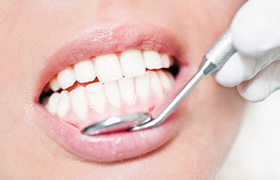 When you come in for a routine preventive appointment, it will begin with dental cleaning where one of our hygienists will use specialized tools to break up and clear away plaque from your teeth and gums, and then Dr. Ricci or Dr. Mauck will perform a thorough oral exam. By coming in for these appointments regularly, we’ll be able to stop many dental issues from developing the first place. And, if you do have an issue, we’ll catch it early while it is still easy to treat. All it takes is just two of these appointments a year to have a problem-free smile. The chewing surfaces of the back teeth are one of the most common areas where cavities tend to develop, especially for children. This is because they can be touch to completely clean. To protect these teeth, we can apply a clear, thin layer of a plastic-based substance called a dental sealant. This will provide a barrier to prevent food particles and plaque from gathering on the teeth, effectively stopping both tooth decay and gum disease. 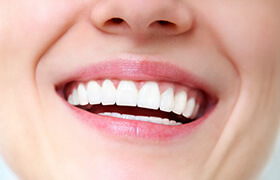 Detecting the presence of gum disease and stopping it early helps us prevent further complications -- that’s why checking for signs of gum disease is a major priority of every general dentistry visit. Should Dr. Mauck or Dr. Ricci discover the presence of gum disease, don’t despair. Our dental office in Aurora offers options in periodontal therapy to help you enjoy healthy gums and fresher breath once again. 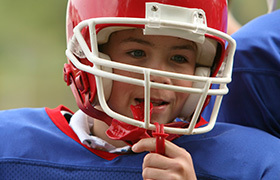 If you or your children regular participate in sports, your teeth are always at risk of being damaged by a collision, whether it is a contact sport or not. Fortunately, we can help protect our patients’ smiles with custom-made mouthguards. They’re designed to fit each individual’s particular teeth, which not only makes them much more comfortable than anything you can buy at the store, but it also enables them to defend the teeth much better as well. We recommend that all of our patients have at least one oral cancer screening a year, and perhaps more if they engage in particular risky behaviors such as smoking or excessive alcohol consumption. We can perform it during your regular checkup, and it will just consist of your doctor examining your lips, gums, cheeks, throat, and neck for any signs of the disease. Should your doctor find something, they can advise you on how to take quick and appropriate action. Our practice is dedicated to family dentistry, which means we’re happy to serve patients where they are 1 or 100! That means we’ll not only make sure you have a beautiful and healthy smile, but your children and parents as well. That way, you won’t have to run around town to different offices to take care of everyone’s teeth. Our practice is more than happy to take care of your littlest smile. Early dental appointments enable our doctors to make sure your child’s teeth are developing correctly, address and issues they might have, and also teach them the basics about dental care (such as how to brush, how their diet can affect their smile, etc.). Our team has years of experiencing helping children, so we’ll have just the right combination of treatments, patience, and a gentle touch to ensure that they always have a good time at our office. 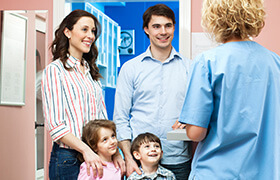 When it comes to your child’s oral health, you can consider us your lifetime partners. We’ll always be here to answer your questions and offer helpful tips to make sure your little one has a lifetime of happy, healthy smiles. Because we care for smiles of all sizes and ages, D'Amico and Mauck, DDS is a true family dental practice. 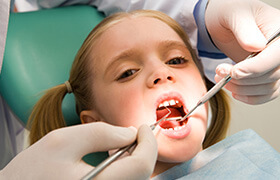 We advise your child begin his or her professional dental care by age three to make sure things are developing properly. And is your older child involved in sports? We highly recommend that he or she wear a custom-fit athletic mouthguard created by a dentist for the best protection from injury. Our team can also help protect your child’s smile further with dental sealants to shield the molars from bacteria, and fluoride treatments to strengthen enamel. Contact D'Amico and Mauck DDS Today! Located in Aurora, Colorado, our practice welcomes patients from the greater Denver area including Centennial, Englewood and Parker. Make an appointment today to experience comprehensive dental care in a comfortable environment -- where you and your smile will always come first.